Comprehensive approaches addressing the processes of desertification!! What comes to your mind when you hear “prevention of desertification”? Most people would think “tree planting”, “protection of vegetative cover”, or other practical and quick-impact methods. 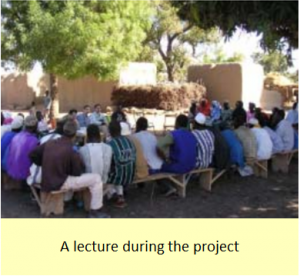 However, the “Study on the Capacity Building Programs for the Community-based Prevention of Desertification in the South Region of Segou in the Republic of Mali (2004-2008)” conducted by JICA, took an unique approach. In order to prevent desertification, this project focused on improvement of residents’ livelihoods as poverty is considered its cause. The project provided a wide variety of training programs such as literacy education, agriculture, road maintenance, handicrafts, and so on together with natural resource management programs. 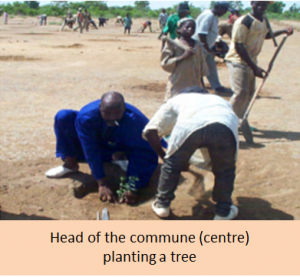 Although many programs seemed irrelevant to prevention of desertification, it helped participants to improve their basic knowledge and competence necessary for community-based natural resource management. Millet is the staple food for people in Mali. It is served with sauces or cooked for porridge and it is part of their daily food. 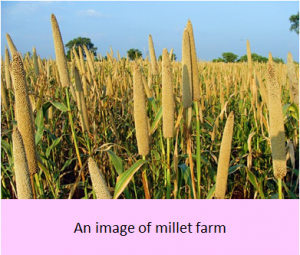 However, the unit yield of millet had decreased from 800kg/ha in the 1980s to 600kg/ha in the 2000s because of land degradation. 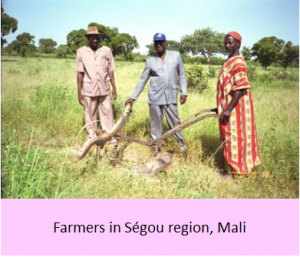 Ségou region, the target area of the project is one of the major cultivation areas of Millet and produces more than one third of the domestic production. 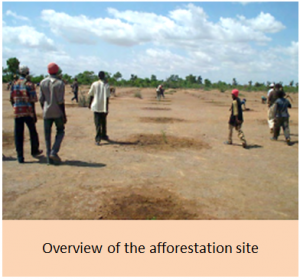 The recent advancement of desertification caused the decrease in the yield, reduction of firewood resources, lack of pastures, and dispute between farmers and herders. 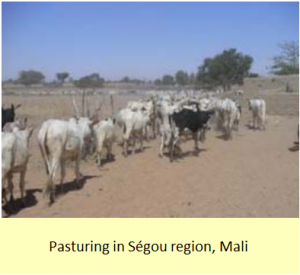 An effective measure to prevent or mitigate desertification was crucially needed for the residents of the Ségou region. 2. Action plan establishment, aiming to change the living of 0.4 million people! 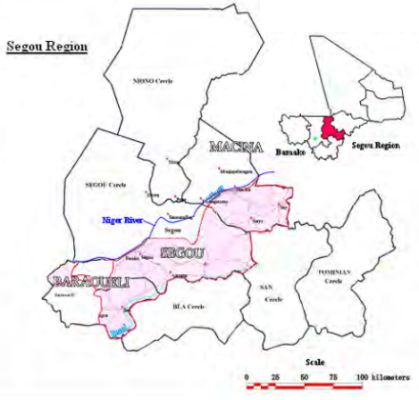 The project was implemented in 3 Cercles (Baraouéli, Ségou and Macina) in the south of Ségou, which have 520 villages and a population of around 0.36 million. The final goal of the project was to establish an action plan in order to recover the natural resources and improve residents’ livelihood in those villages. In order to meet this goal, a provisional action plan was formed and a pilot project was conducted in 47 villages to collect lessons learned and upgrade the final action plan. What characterizes this project is its comprehensive approach to improve the ability of residents. One of the examples of its effect was a literacy education program. Thanks to this program, residents became able to record the result of their discussions and write down activity plans, which help them to move their activities forward. The project provided 14 types of programs including some which are not directly linked to prevention of desertification. After finishing those programs, residents have gained new skills which are utilized to eradicate poverty and prevent desertification by themselves. In addition, as local leaders selected by residents are important to encourage community-based activities without the support from a donor, training to develop their facilitation skill was also provided. By the end of the project, the Action Plan was formulated and the Government of Mali decided to implement part of it in 2008. If you ever feel that the direct methods are inadequate to prevent desertification, this approach may be worth a try, especially in the less developed regions. Practical manuals with the project process flow are ready to be used. Views or opinions expressed in this website do not necessarily reflect the official policy or position of the AI-CD. Copyright AI-CD All Rights Reserved.